After breakfast at the hotel, we stroll down to Yathetaung Bus Terminal to take an open truck. 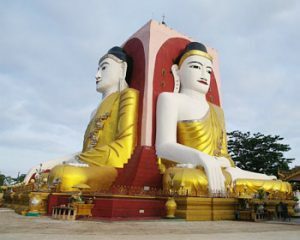 Enroute visit to Bago we visit Kanbawzathadi Royal Palace of King Bayintnaung from 1553, Shwethalaung a reclining Buddha image, Kyaik Pun Pagoda with four huge buddha images seated back to back each facing a different quarter and the Htaukkyant world cemetery. 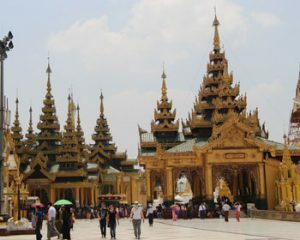 (Accommodation at Yangon). 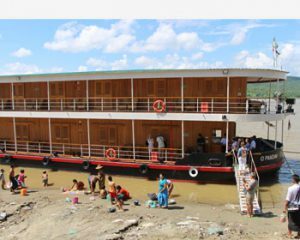 This morning we take a ferry boat at River Jetty and cross Yangon River to Dala. We take a local Trishaw (rickshaw) and visit the Local market .We will have time to have Tea at a Local Tea house and chat with the local people. In the evening, we transfer you to Yangon International Airport for your departure. 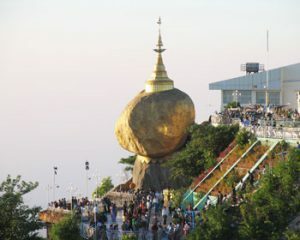 Thanks you for sharing your precious time with us in Myanmar .We hope that you share your unforgettable holiday experiences in Myanmar with your friends.